When we last left our heroes, they had saved a group of Polish mutants fleeing their government in a clear homage to Nazi Germany. I appreciated the symbolism, but I really wanted to see more of our story develop. We’ve gotten good set up and cool team building so far in Tom Taylor’s run, but it’s time for our team to get some answers. 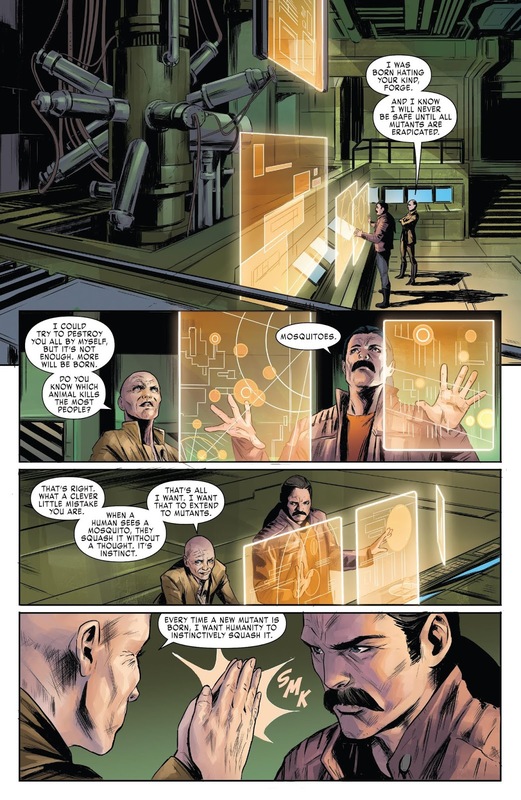 Such as when will Jean Grey figure out who is pulling the strings behind the rise in anti-mutant terrorism? Does this issue deliver? Let’s dive in and find out. 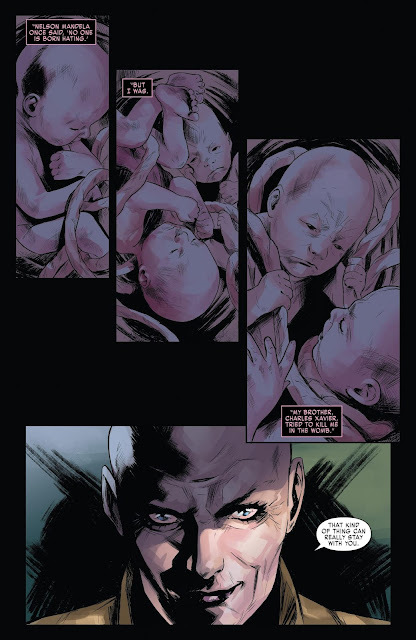 We open to some exposition pages of Cassandra Nova giving her account of why she hates mutants. Without going into spoilers I’ve seen some people on twitter complaining about the continuity issues with her story here, though I don’t particularly mind. Especially because this is from the point of view of a clearly disturbed woman, it is quite possible she’s just off her rockers. Taylor gets brownie points from me for weaving Nelson Mandela into this story, as Cassandra sinisterly laces her anti-mutant tirade with Mandela quotes. Moving on, we get some emotional background for Gentle through flashbacks to his childhood. Through this, Jean is beginning to help him unravel his own mental limitations on his powers. Earlier in the series it was said that at full strength he could handle the Hulk. One must wonder how if Jean successfully helps Gentle, he may become one of the most powerful mutants in the Marvel Universe. I love Gabby, AKA Honey Badger (and it’s hard to believe there are some people out there who don’t like her! *Cough* You know who you are *Cough*), so it is hard not to smile whenever she steals a moment and stands out amongst these much better known X-men. Anyways, the team is plotting a heist to steal the cell phone of the British ambassador whose brains blew up back in the first issue… On a plane? It is a little wonky here, but it’s fun enough. Wish we got more of the actual heist, but Trinary uses her abilities to help the team get intel while Gambit leads the operation. Tom Taylor must really miss writing All-New Wolverine, because he gives fans of Laura and Gabby plenty of lovable, rewarding moments. Sometimes it’s a chunk of an issue, like in the annual, and sometimes it’s just a panel or two like it is here. But even amidst these legendary X-men names like Jean Grey, Storm, Nightcrawler, and others, he always makes sure our favorite crime fighting sister/clones get a chance to shine. Almost forgot to mention how great the art has been, and though we did get a swap here with Carmen Carneros taking over art duties, it felt seamless. Amazing detail in the facial expressions of the characters. You could totally feel the emotional turbulence of the issue through the depictions on everyone’s faces. P.S. Hit me up on twitter @the_jon_wayne if you ever want to talk about my reviews or comics in general! 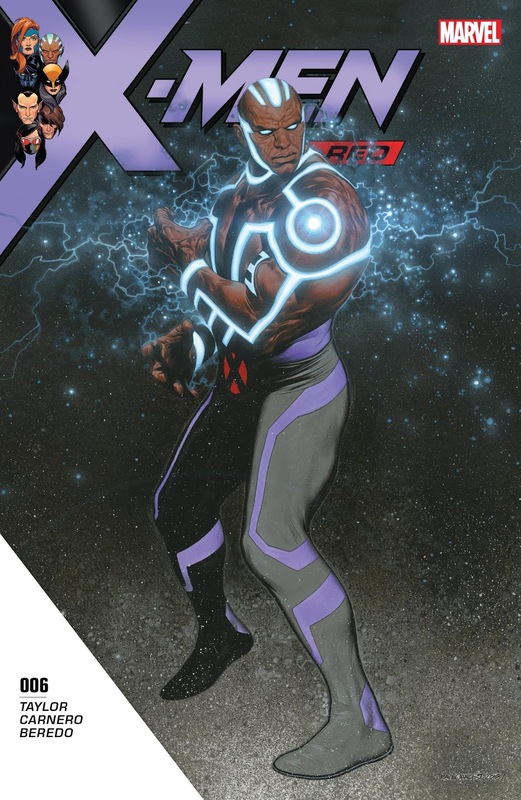 This was a fun issue, and X-Men: Red continues to be the best X-book Marvel is putting out right now. That may change with the announcements from SDCC, but this is an engaging story and the art has been fantastic. Taylor is a masterful storyteller, and while I would’ve maybe liked a little more action or more plot movement, he always makes sure things pay off in the end. He has earned my trust, which is frankly more than I can say for most writers!